I cannot hold back any longer. It seems that everyone around me is infatuated with Vera Bradley. And they do not just have one or two pieces. By heavens, no. They have to have the totes, satchels, backpacks, wallets, and phone covers. They gloat over the past season's designs or color palates and wait anxiously of the newest releases! 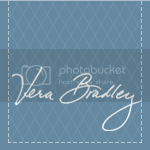 When someone comments on their purse they always proclaim proudly that "It's a Vera Bradley". Big deal. Frankly, I do not understand the appeal of this brand. All I see is an extremely bright, busy, over priced, quilted bag. These bags do not have any special construction. Anyone with basic sewing skills could easy make something similar. The fabric reminds me of the clearance section at my local Joann craft store. And the colors on these bags are so bright that they clash with everything. I am well aware that they make plain black bags as well, but they are completely unenthralling. On multiple occasion, I have been assured that I would like these bags if I found one in blue. 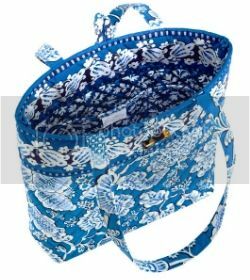 I have been shown bags in every hue of blue and even the least boisterous bag could not sway my opinion. I simply do not like these bags. I have already warned most family and friends to not even think of buying one of these for me. 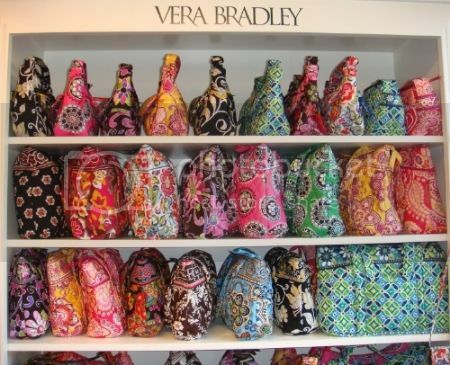 I do not understand why Vera Bradley owners attribute an air of entitlement to these bags. They are just atrociously bright, quilted fabric sewn in the shape of a bag. I am sorry, but Paisley print is not rare. And the designs were always the type that my mother would avoid when she was making a quilt or her scrub tops. (My mother was a nurse.) Besides that the bags are not even that rare. There are at least 3 stores that sell this brand within a 6 mile radius from my house. I have to clarify that I do not have an issue with the quilted look of this brand. I love quilt texture items. Two years ago I wanted a quilt pattern white Hello Kitty planner. And more recently I have been yearning for a Liz Lisa quilted wallet. They are so dainty and feminine looking. I know I will receive grief from some of my friends, but I needed to express myself fully. And I was glad to see that there is a facebook group of people that feel the same way. I've been seeing these bags far more frequently and have wondered at their appeal since, as you said, they look like someone's grandmother raided the craft store. Thanks for pointing them out to me! I have to agree with you I don't really see the appeal of this stuff. I mean a few of her purses are cute,but most just look like the kinda bags you buy at a fabric store to carry your crafting stuff in. Though I did not really see much of the brand up in Canada, I would agree with you. These bags I feel are really made more from a craft shop rather than a retail outlet. The high price point made it even more unjustifiable as a "brand" bag. I could just easily make one from buying a couple of quilted fabric from Walmart and using a bag pattern! But of course, tastes (apparently) does vary in the world and I am pretty sure that there are people out there that (and there are, judging from your blog post) loves the bags to death and are in love with the design, no matter how "crazy" it might be.